What a long strange year it’s been! One year ago this month I took to my computer and typed out a snarky opinion of the drama I had just completed- Rooftop Prince. The pictures I added were unevenly sized, my thoughts were rambling, and I ended up feeling happy as could be as soon as I clicked “post”. At that point I had been watching and reading about dramas for some time-it felt good to finally write out how these shows made me feel and think. I was not sure where this adventure would take me, or if anyone would even care. And I think that is why it felt so good; the unknown of blogging was before me and exciting at every turn. I was confident in my love for what I was writing about and my goal was to simply express my fandom through a release of snarky observations and rambling reviews. And I did. And the disjointed thoughts I had previously kept to myself (or shared with the few friends I could count on to put up with my rants) were now on a page. So why am I getting all nostalgic? Well…it is officially Lore in Stone Cities 1st birthday! It means a lot that one person has visited this space. I have found that the entire Korean Drama blogging community- from readers to bloggers, is a family that I am extremely fortunate to be able to interact with. I should never ever start a drama because of the leads alone (Hello, Level 7 Civil Servant and Faith). I have learned that I really do like a mix of drama types- I need at least a good melo and rom-com at the same time to balance it all out. I have a hard time with shows that switch up the pace of the plot too much and I have a complete distaste for extensions ninety nine percent of the time. I also watched my first Taiwanese drama a few months ago and feel eager to branch out to other country’s dramas. I really like supernatural dramas and geek out over sagueks. But my heart, deep down, will always love a well done romance in any genre. Live watching is a difficult, live watching and recapping a show is even harder. After recapping half of Jang Ok Jung, Live to Love I realized that I have to really love a show to put so much effort in (I gained major respect for consistent re-cappers during this experience). I am still waiting to find a show that I love as much as JOJ (and feel the need to geek out over every episode to) to facilitate a recap. In the last year I was fortunate to have a couple of opportunities to post on other blogs. My fellow Running Man fan, Joel (who was the first person to refer to this blog as Stone Cities, a term I have stolen 🙂 was awesome enough to exchange posts over our favorite show. Running Man fighting! Drama Fever also gave me a great opportunity through their Drama Club concept- I was given the chance to review the drama Monstar with two awesome bloggers, Cypsis and E-Kun. One of those bloggers, E-Kun, has been posting Heartless City reviews on Stone Cities. I appreciate her humor and opinion. We will, as of next week, begin posting a collaborative discussion around Master’s Sun. Cypsis, our drama club maknae, will also post a review in the near future. I am beyond excited- this city is definitely big enough for the three of us! If I had to note one thing that, in relation to the world of Korean entertainment, has made me the happiest over the last year it would be my discovery of Running Man. I love this show. A lot. So much so that I cannot imagine my life without it. I have never laughed so much or felt such joy while watching a television show. The chemistry of the cast is unparalleled, and the general feeling while watching the show is….well, therapy. I consider my job, with all of the awful thinking and such, a brain drain. So when I can come home and watch Lee Kwang Soo try to oust Kim Jong Kook I smile and giggle and feel great. I laugh without realizing it. Not that this show is thoughtless, it is just freaking hilarious to the point you cannot help but have fun watching no matter how tired you are. 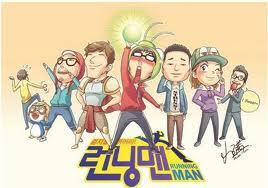 I love you Running Man, and I really think you are my weekly therapy session. Because everyone deserves some kind of birthday present…and this is my ultimate bias. Cheers! I love your viewing observations. The one about not watching a drama solely for the leads? Wow, is that ever a life lesson. I’ve also begun slipping into k-pop listening. Never ever thought that would happen, but durn it — some of those songs are pure catchy! Happy Birthday, Lore! It’s amazing how far you’ve come in a year, isn’t it? And the important thing is that you’ve had lots of fun doing it. 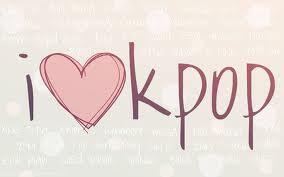 Like you, I’ve fallen to the lures of k-pop and consider Running Man necessary therapy for my mental health. There’s nothing like watching Kwang Soo go to extreme lengths just to push Jong Kook’s buttons, is there? Here’s to you always having a good drama to enjoy and a Running Man episode to relax with! Can’t wait to see what this next year will bring for you! Everyone is hitting their first birthday left and right! Congratulations on your first birthday! Deep down my heart also loves a good romance drama too! Happy 1st year anniversary from me too! I agree, blogging brings clarity. I love reviewing and am excited for the year ahead. BTW great post! I really want to see this movie now. Happy Birthday! Love reading your thoughts and your sense of snark ;). Makes me laugh out loud a lot. Keep it coming! Thank you! What are you watching now, after JOJ? I have had a hard time finding a drama that hit the same note as JOJ. I miss it! Gah, that show has left its mark on my heart. I wander from drama to drama in the current dramalandscape searching for that one of a kind feeling, but nothing comes close to what JOJ gave me. * sniffs*. So I tend to stay away from romance based shows. Anyway, Cruel City is a fantastic watch and so is The Queen’s Classroom! Check out the fan made videos supporting the DVD. The price of that box set…aish! JOJ definitely ripped my heart out, but the more I think of this drama the more I love it. Not perfect by any means, but extremely addicting! I love the fan made videos for the box set, so creative! I have to admit that the more you get to know fellow drama fans and bloggers, the harder it seems to stop watching/blogging. Glad to see the growing list of kdrama bloggers because back then, it was hard to find good and reliable reviews about certain shows. The drama watching lessons – I agree wholeheartedly. Especially Level 7. I think I’m going to erase the drama from my memory. I agree, the more you blog the harder it is to quit! Haha about your little brother, I may have started to listen to LeeSsang too because of Running Man! Thank you for always posting quality reviews on your blog! Happy Birthday, Lore in Stone Cities, and many more! I hope it’s not too late to wish you a Happy Happy 1st Blogoversary! *throws confetti* I’ve enjoyed your posts on Running Man, and I think you give me just as much joy as watching the show itself! Keep writing, and have fun! wow, I’m seriously late with this congratulations! Happy very belated birthday Stone Cities (a name I still find to be totally fitting and awesome for this site). Thanks! We should gush soon – so much Running Man goodness to discuss!!! !